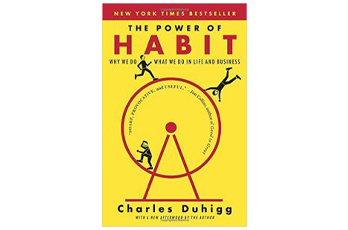 Here’s what happens in a habit loop: A cue triggers both a routine and a reward (i.e., a rush of endorphins or sense of accomplishment from engaging in a positive habit). If, for example, you’re tired or bored, you may automatically reach for a snack. Or, if you want to avoid the calories and improve your overall health, you can choose to exercise instead. Both solutions relieve boredom and chemically reward the brain, but one is the smarter option. To change a habit, identify the underlying craving; then, reward the brain with a more healthful behavior. 1. Use the same cue. 2. Provide the same physiological or emotional reward. In the work I do coaching people, I’ve also found two other elements are necessary for making changes. Other studies support my experiences: desire and belief must be present. In other words, you must want to change and believe you can do it. Without desire for change, and without really believing change is possible, it’s an uphill battle to shift your habits and routines. But with desire and belief, you can consciously modify a habit loop into new permanent behaviors. Your degree of desire will influence the amount of persistence and discipline you apply. This is how people with the personality trait of “grit” excel. Deliberate practice is critical. For some people, they will need to stick to their new routine for at least a month—perhaps even 3 months—to create a new habit. Which habit do you want to change this week?